A major milestone is fast approaching: Data & Society’s 100th Databite! 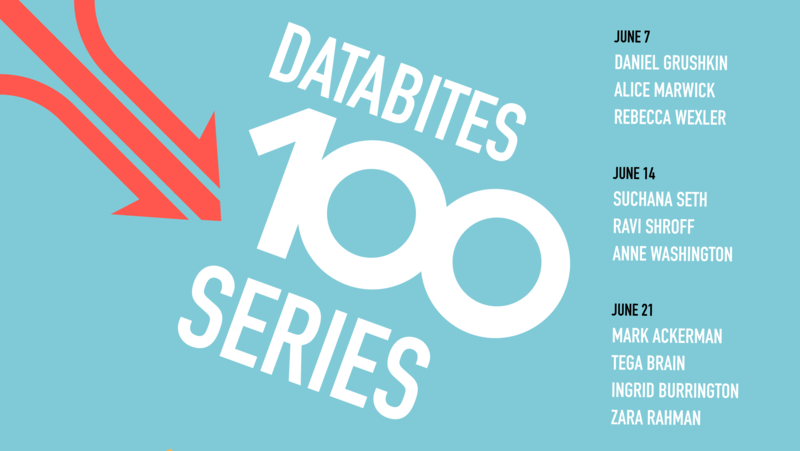 We’re gearing up to cross the #100 marker with Databites 100 Series, a three-part talk series unfurling over the course of June 2017. Suchana Seth on Machine Learning: What’s Fair and How Do We Decide? Tega Brain on The entropy of a system. Each talk will be followed by a reception from 5pm – 7pm.